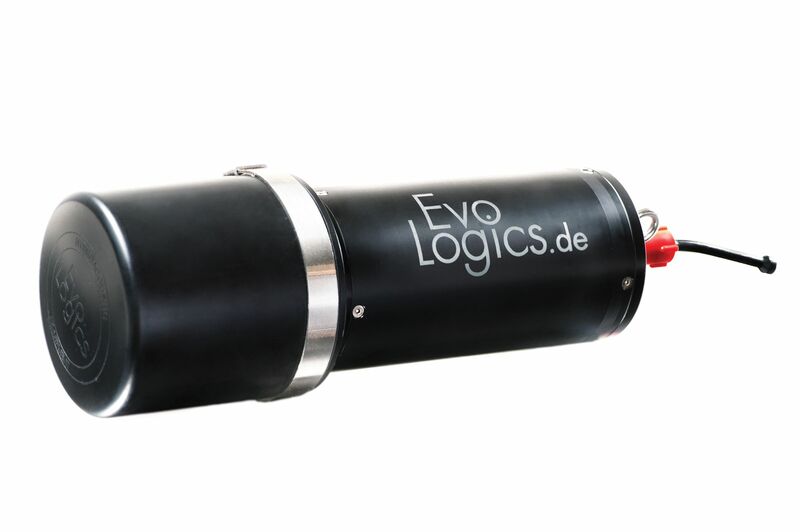 EvoLogics S2C R USBL is a series of combined positioning and communication devices for a variety of subsea applications. Combining powerful USBL transceiver functionality with full benefits of an S2C technology communication link, a S2C R USBL device is an efficient choice for application scenarios that demand space-, energy- and cost-saving solutions. 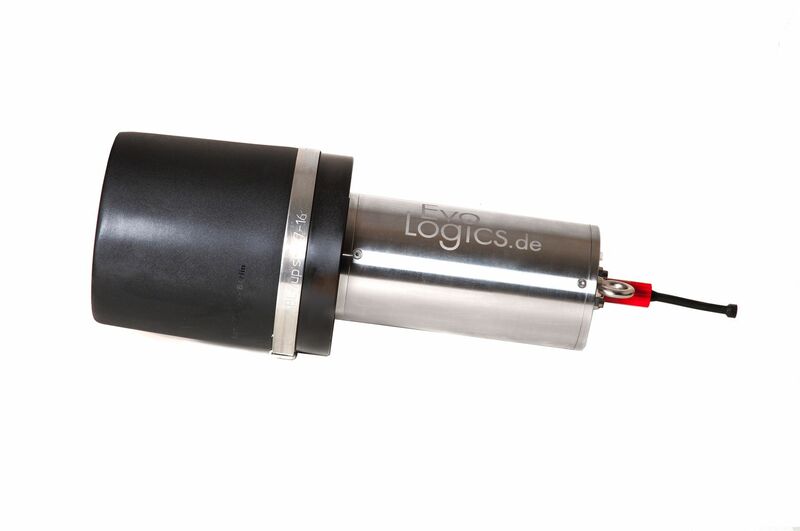 S2C R USBL devices with a built-in USBL antenna enable accurate tracking and full-duplex digital communication, delivering an excellent all-round performance. 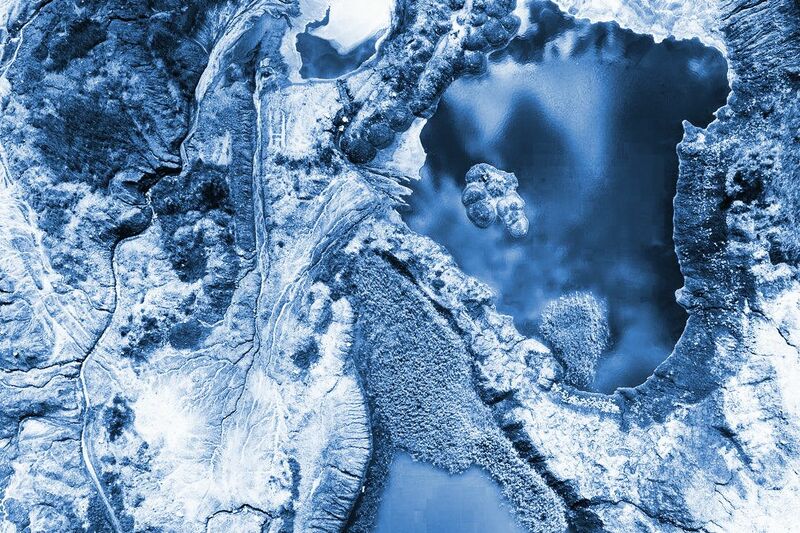 S2CR USBL devices implement advanced data delivery algorithms, support addressing and networking and are easy to control with a comprehensive set of commands and software-configurable settings. 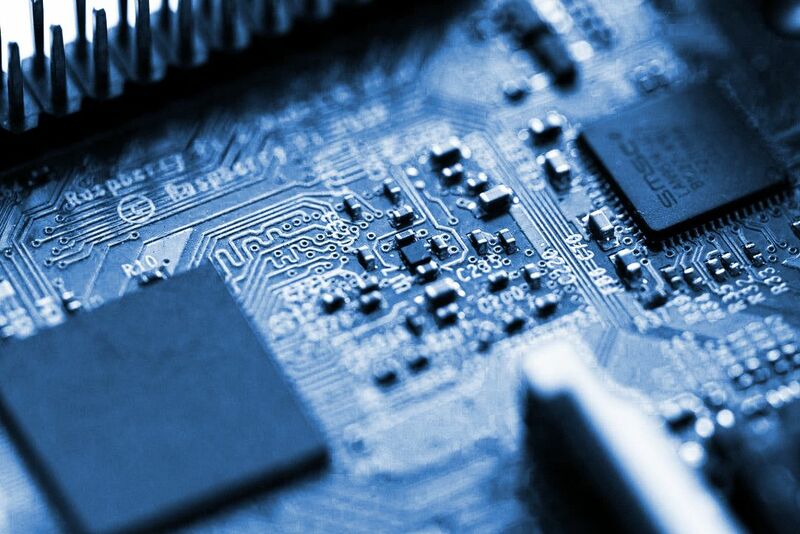 Switching between positioning and communication modes is not necessary: positioning data is calculated simultaneously with acoustic transmissions. Both features complement each other in a fully integrated positioning and communication system. 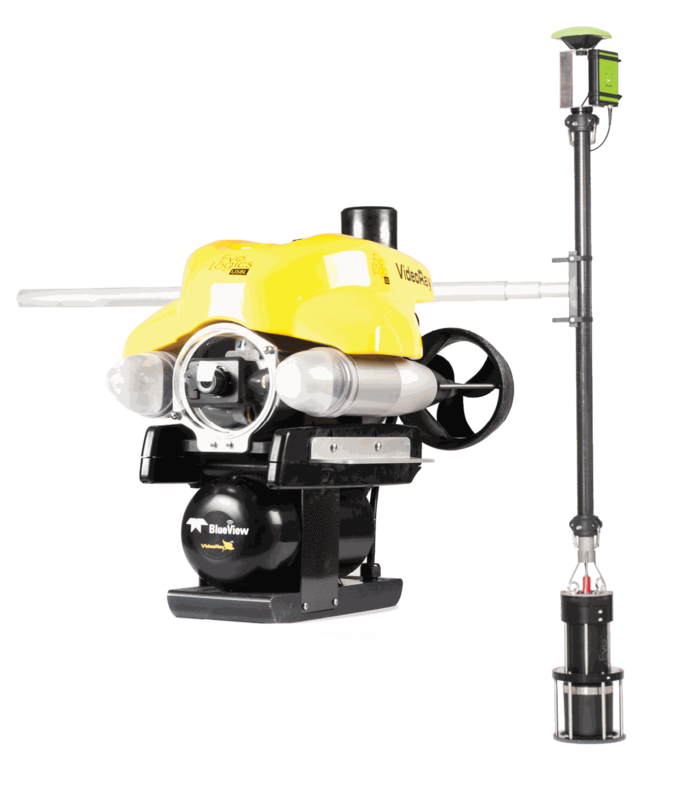 The S2C R USBL series offers a selection of short- mid- and long-range devices for shallow or deep water applications. Each product is available in a variety of configurations to offer the best-fit solution for a particular scenario. 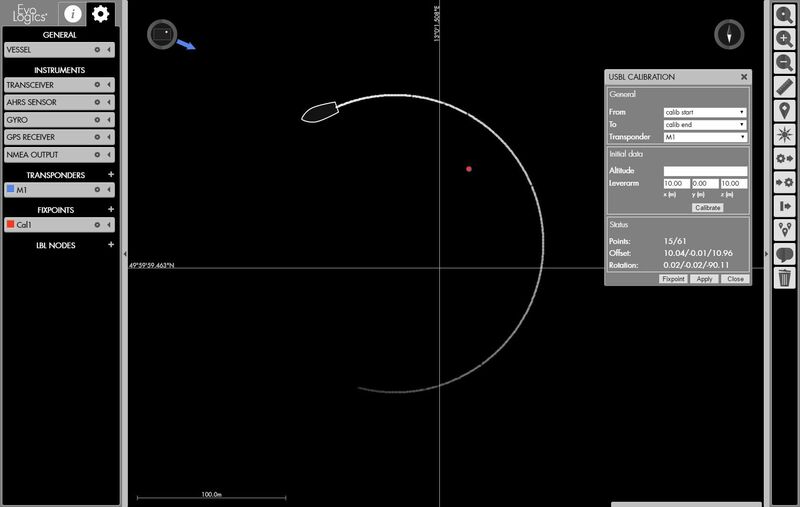 Moreover, EvoLogics' new underwater acoustic positioning software, the SiNAPS, provides easy-to-use display features for real-time tracking of multiple targets, supports interfacing with external instruments and offers advanced data management tools. 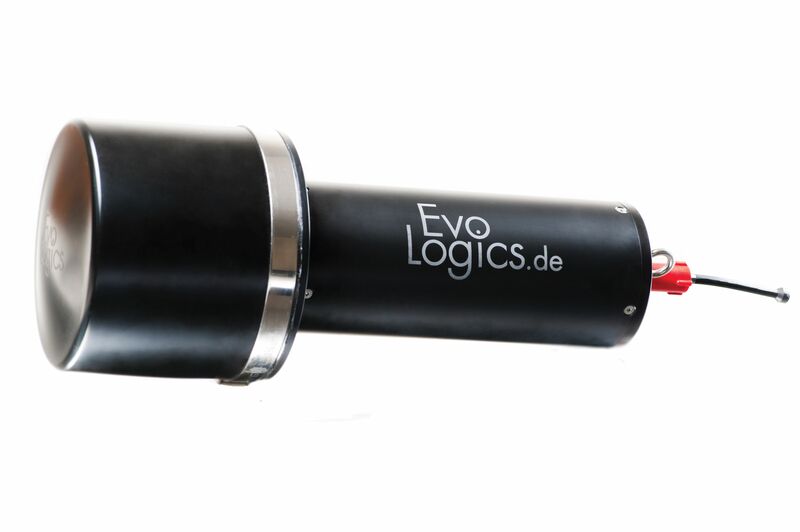 A typical EvoLogics USBL (ultrashort baseline) positioning system is pictured above and operates as follows. 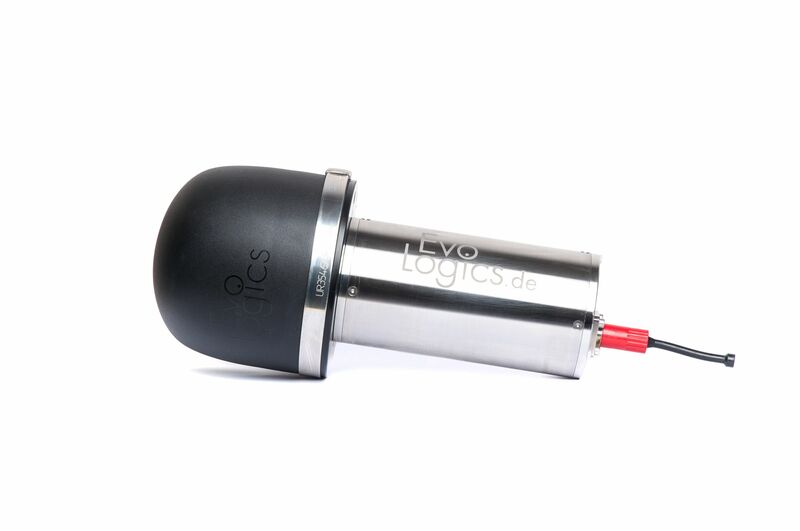 A USBL TRANSCEIVER is mounted on a Vessel and uses acoustic signals to determine the distances and bearings toward tracking targets - for example, to autonomous underwater vehicles (AUVs), remotely operated vehicles (ROVs), towfish etc. A TRANSPONDER is attached to each target. 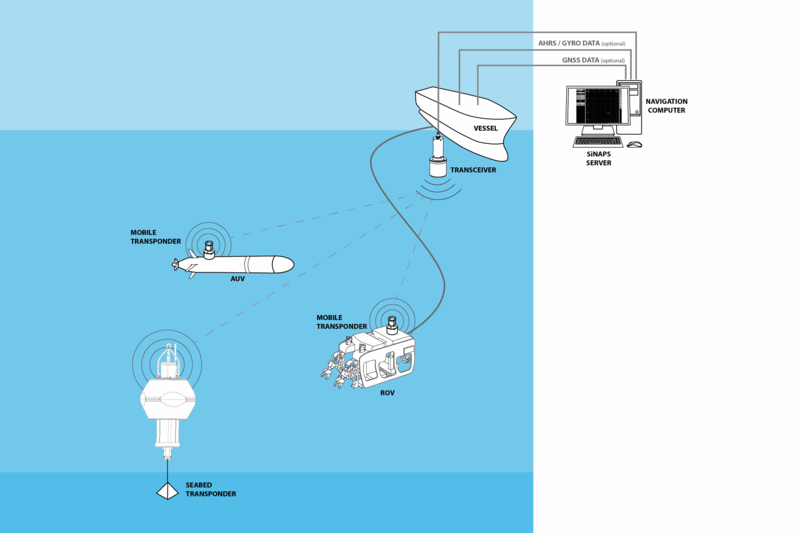 Transponders reply to acoustic signals from the USBL transceiver with their own acoustic pulses, allowing the transceiver to calculate the targets' positions. The USBL transceiver measures the time from transmission of its acoustic interrogation signal until an acoustic reply from the Transponder is detected and converts it to distance to the transponder. Containing several transducers separated by a short distance (the ultra-short baseline antenna), the transceiver calculates the angle to a transponder using the phase-difference method. 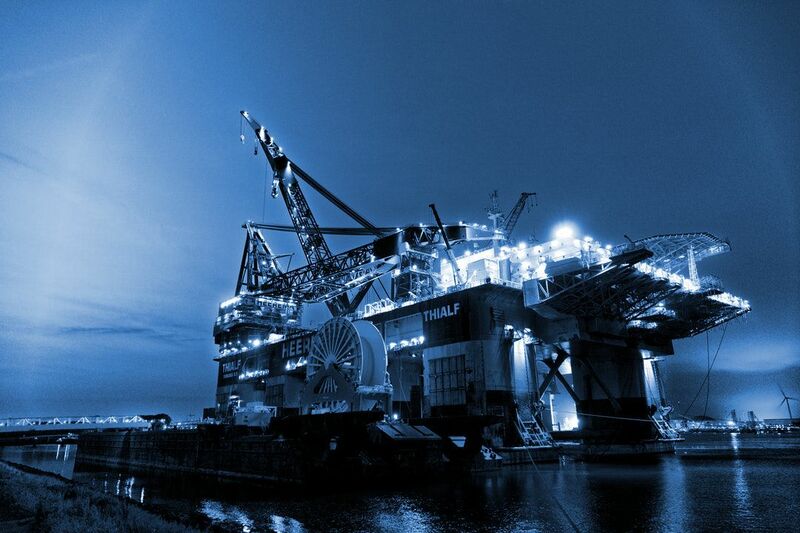 Optional third-party external instruments (an AHRS sensor and/or a GNSS receiver) provide information about the vessel's orientation and real-world coordinates. The operator's NAVIGATION COMPUTER is interfaced with the USBL transceiver and the external instruments and is connected to the local computer network. EvoLogics positioning software, the SiNAPS, is installed on the navigation computer. 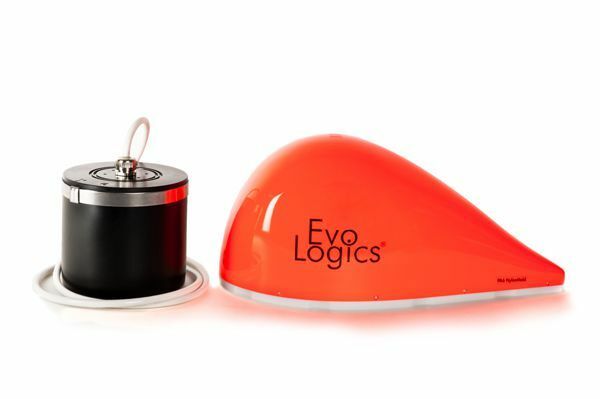 EvoLogics SiNAPS positioning software controls the positioning system and provides display features to monitor the mission in real-time. 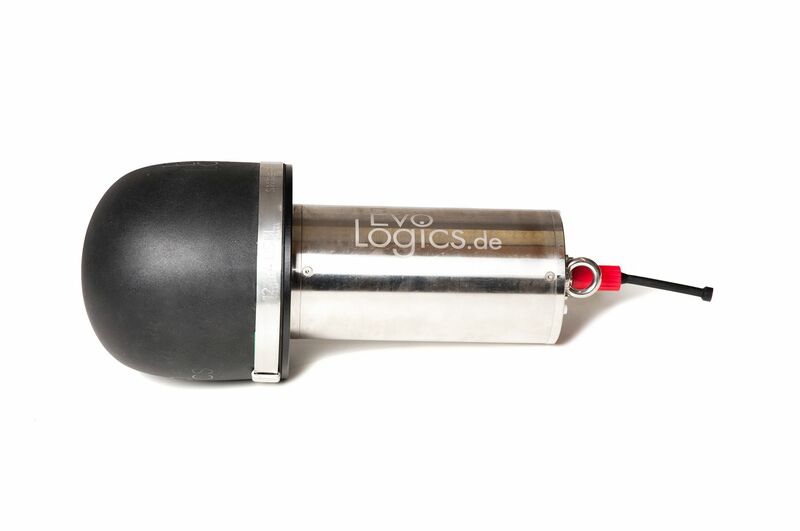 EvoLogics S2C R USBL devices offer transceiver functionality combined with fully fledged acoustic modem performance: tracking targets and exchanging data with them at the same time does not require switching between modes of operation. Models sorted by operating frequencies and depth ratings are listed below. 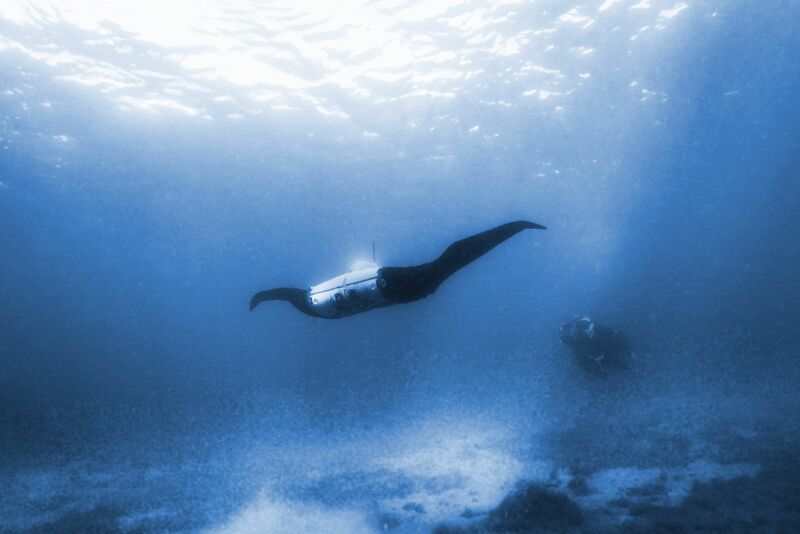 Each USBL transceiver is acoustically compatible with the corresponding type of EvoLogics underwater acoustic modems to be used as target transponders. They offer a wide range of designs and configuration options to match the target and the specific application scenario of the system. 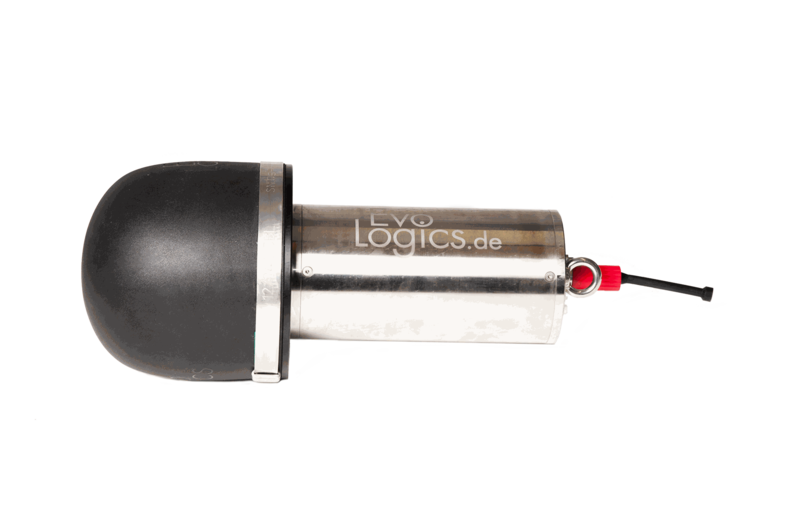 All EvoLogics S2C R USBL Communication and Positioning devices are available in OEM configurations, including versions with custom streamlined antenna covers.